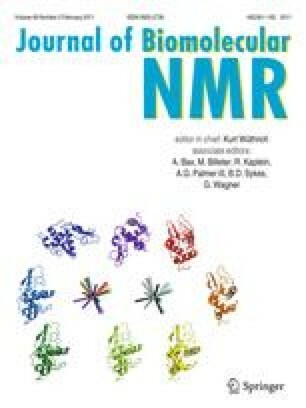 Overexpression of isotope-labeled multi-spanning eukaryotic membrane proteins for structural NMR studies is often challenging. On the one hand, difficulties with achieving proper folding, membrane insertion, and native-like post-translational modifications frequently disqualify bacterial expression systems. On the other hand, eukaryotic cell cultures can be prohibitively expensive. One of the viable alternatives, successfully used for producing proteins for solution NMR studies, is yeast expression systems, particularly Pichia pastoris. We report on successful implementation and optimization of isotope labeling protocols, previously used for soluble secreted proteins, to produce homogeneous samples of a eukaryotic seven-transmembrane helical protein, rhodopsin from Leptosphaeria maculans. Even in shake-flask cultures, yields exceeded 5 mg of purified uniformly 13C,15N-labeled protein per liter of culture. The protein was stable (at least several weeks at 5°C) and functionally active upon reconstitution into lipid membranes at high protein-to-lipid ratio required for solid-state NMR. The samples gave high-resolution 13C and 15N solid-state magic angle spinning NMR spectra, amenable to a detailed structural analysis. We believe that similar protocols can be adopted for challenging mammalian targets, which often resist characterization by other structural methods. This research was supported by the University of Guelph (start-up funds to V.L. and L.S.B. ), the Natural Sciences and Engineering Research Council of Canada (discovery grants to L.S.B. and to V.L., and doctoral scholarship to Y.F. ), the Canada Foundation for Innovation, and the Ontario Innovation Trust. V.L. holds Canada Research Chair in Biophysics, and is a recipient of an Early Researcher Award from the Ontario Ministry of Research and Innovation. L.S. is a recipient of the MITACS Accelerate scholarship, co-funded by Bruker Ltd. We thank Cambridge Isotope Laboratories for the generous gift of isotopically labeled methanol.